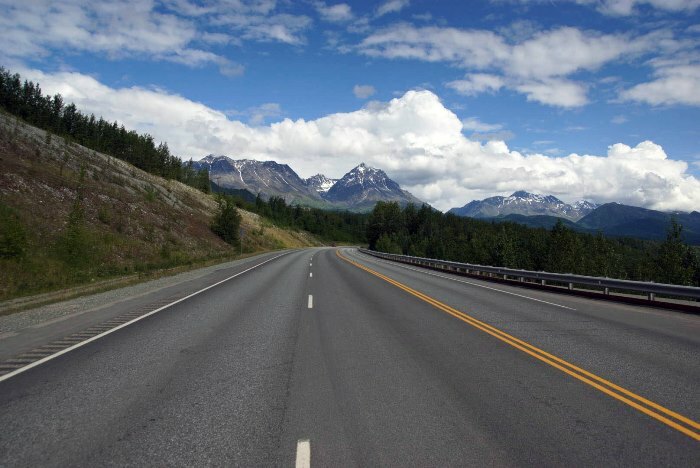 Almost any road in Alaska could qualify as a scenic byway, but the Glenn Highway stands out. 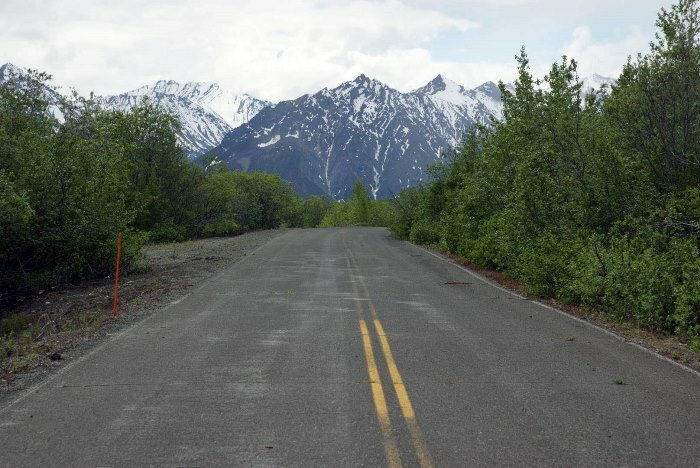 It’s about 180 miles from Anchorage to Glennallen, and if you want to visit Valdez, British Columbia, or the lower 48, this is the road you’ll take. 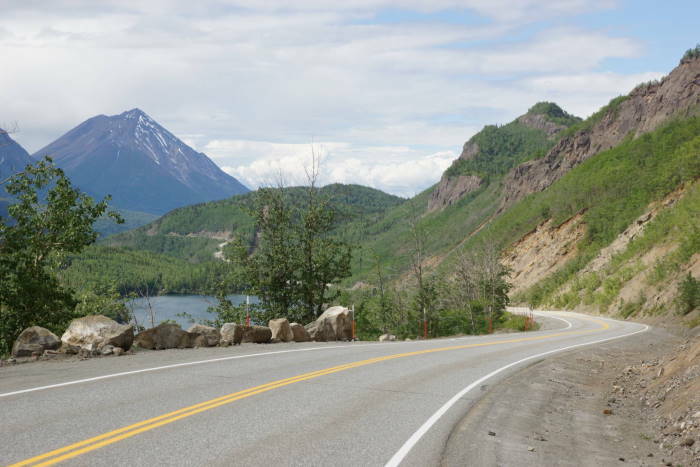 Mile after mile, you’ll enjoy views of mountains and glaciers, including some of the most photogenic locations in the state. The Glenn Highway (Alaska Route 1) heads north from Anchorage, then turns east, passing through Palmer, then the Matanuska Valley, past Matanuska Glacier. 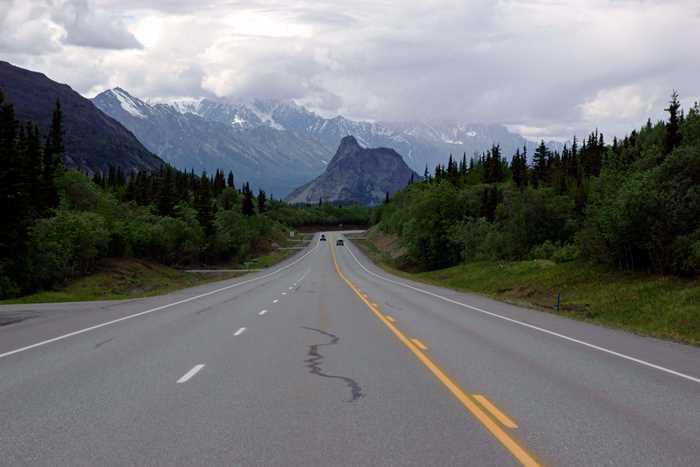 The highway continues to Glennallen, and the junction with the Richardson Highway (Alaska Route 4). On my 2015 Alaskan roadtrip, I drove down the Glenn Highway on my final day, as I returned to Anchorage. The weather was hit-or-miss, with clouds and showers and occasional sunshine. (You can see that trip here.) I knew I wanted to drive it again on this trip, and I decided to drive it in the opposite direction, while hoping for better weather. But, conditions were pretty similar. 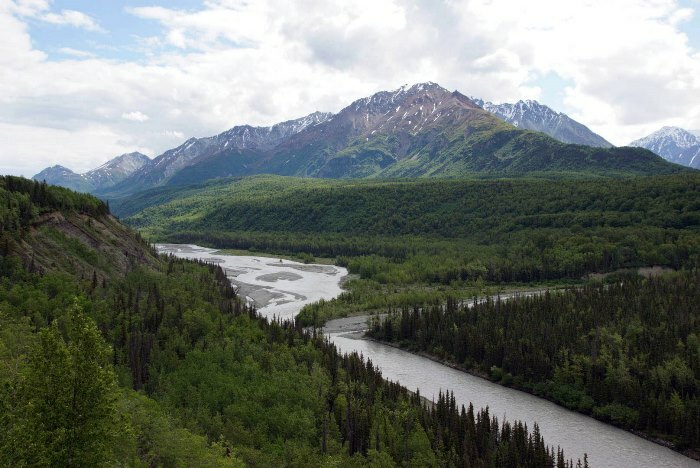 … and there are numerous places to pull out and view the Matanuska River, which runs alongside the Glenn Highway. Up the hill, the road reaches a nice viewpoint, where you can look up and down the valley. Just a few minutes later, I stopped again for another look at the road. I think the water you see is Long Lake, which promises good fishing for rainbow trout. If you want an up-close look at a glacier, the Glenn Highway takes you right past one of Alaska’s most famous ones. 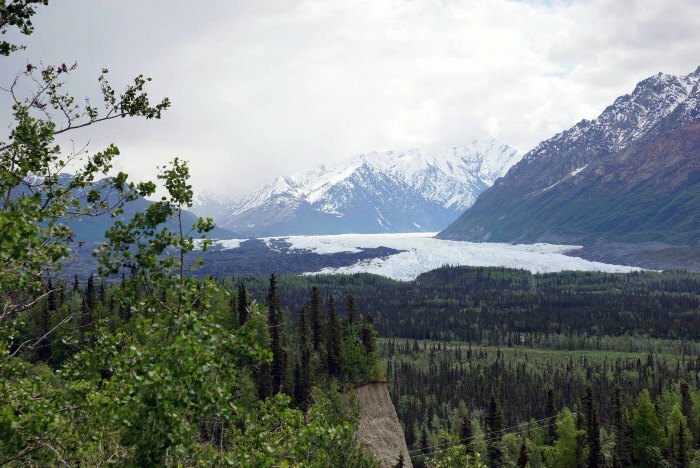 The Matanuska Glacier spills out from the mountains on the south side of the road, filling the Matanuska River with a minty blue-green shade of water. Access to Matanuska Glacier is on private property, and you’ll have to pay an admission fee for an up-close experience. A bit further, and the Glenn Highway makes a few dramatic turns, as it passes Lion’s Head. 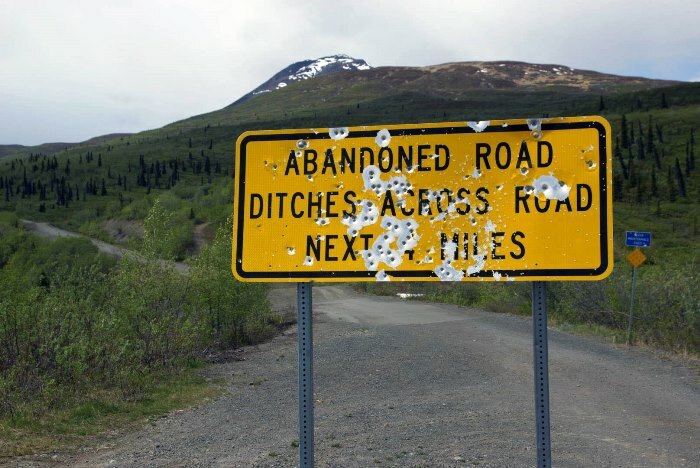 If you’ve done any research on Alaska road trips, you’ve probably seen this picture before. Lion’s Head rises dramatically from the middle of the valley, and for westbound travelers, it seems to stand right in the middle of the roadway. Eastbound views aren’t quite as dramatic, so don’t forget to look back. I was really hoping to hike/climb to the top of Lion’s Head during this trip, but as you can see, it was getting pretty cloudy when I arrived (there were even darker, more threatening clouds that you can’t see in the picture). If you encounter better conditions, consider stopping here for a hike. You’ll need to park next to a gate, near the communications tower on the ‘back’ of Lion’s Head. Call the number on the gate to obtain permission to enter the property. Then, it’s a one-hour hike/scramble to the top. I’ll try again on my next visit to Alaska. … and also gives you access to this tempting stretch of abandoned road. 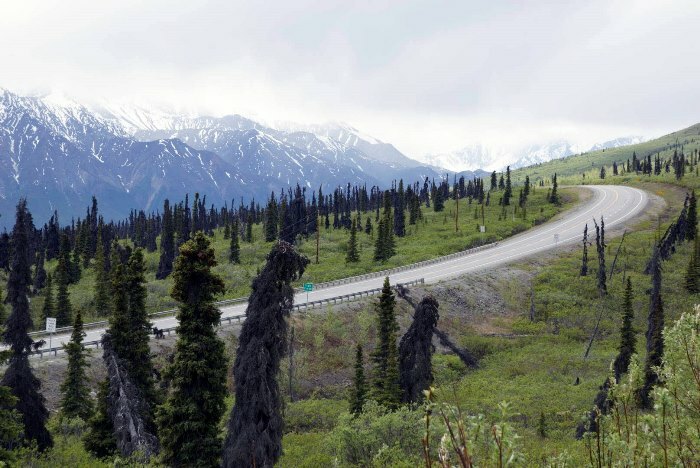 This is an old section of the Glenn Highway, which is still driveable for anyone with a 4-wheel-drive, high-clearance vehicle. It looks easy here, but every few hundred feet there’s a washout, that requires you drive down into a dip and back up the other side. I went through a few of the dips before giving up and making a u-turn. The abandoned road is popular with mountain bikers and campers — but I don’t think it yields any better views than you’ll find from the rest area. 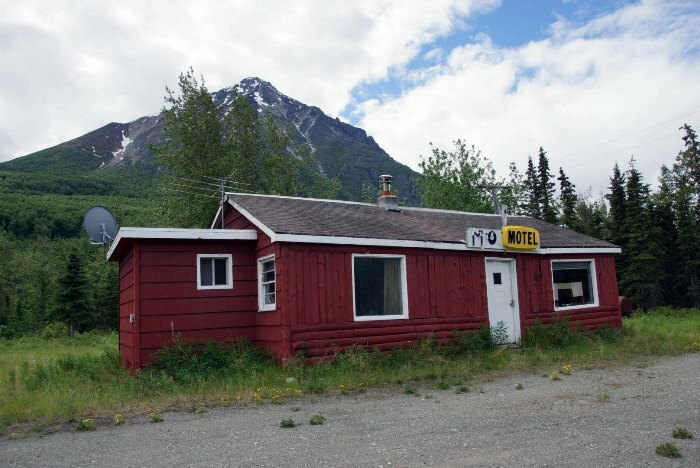 It’s only a few miles long, and reconnects with the Glenn Highway. I’m pretty sure you can access it from either end. Be aware, the “rest area” has pit toilets that don’t have doors on the stalls, so you really can experience nature. Beyond the rest area, you’ll cross Eureka Summit. This photo doesn’t show the actual high point — it’s a few more miles up ahead. 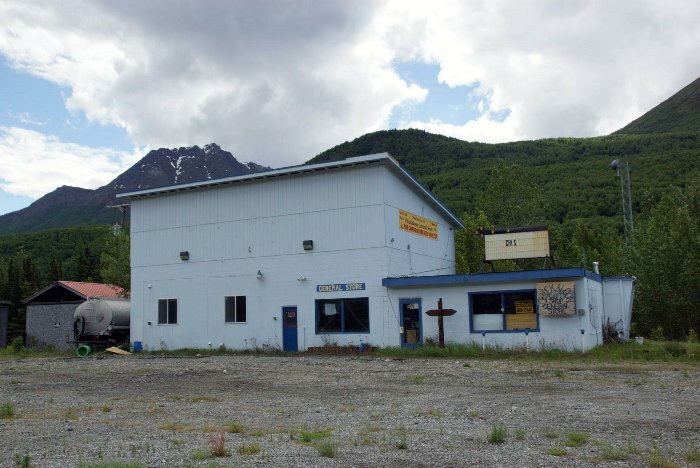 There’s also a roadhouse nearby, with food and gasoline. Beyond Eureka Summit, the weather worsened, and I decided to drive through the rain, rather than stop and take pictures anywhere else. You can see more from the stretch from Eureka to Glennallen on the 2015 page. Here’s a picture I took, back in 2015. 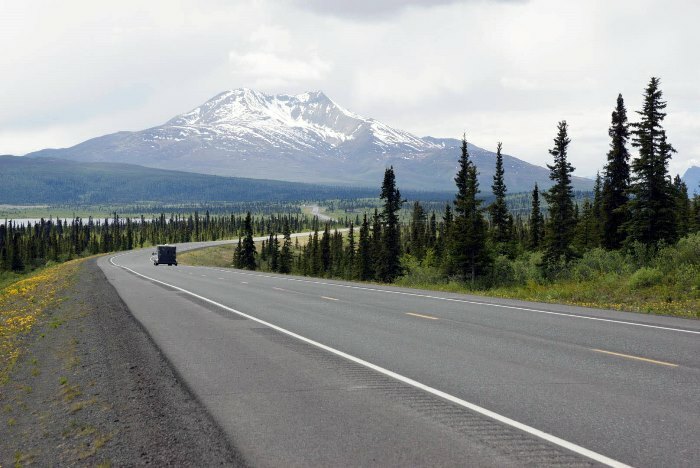 As you finish the final few miles to Glennallen, the road is straight as an arrow, and the majestic mountains of Wrangell – St. Elias National Park loom ahead of you on the horizon. Unfortunately in 2016, the sky was too cloudy to enjoy a similar view. Mt. 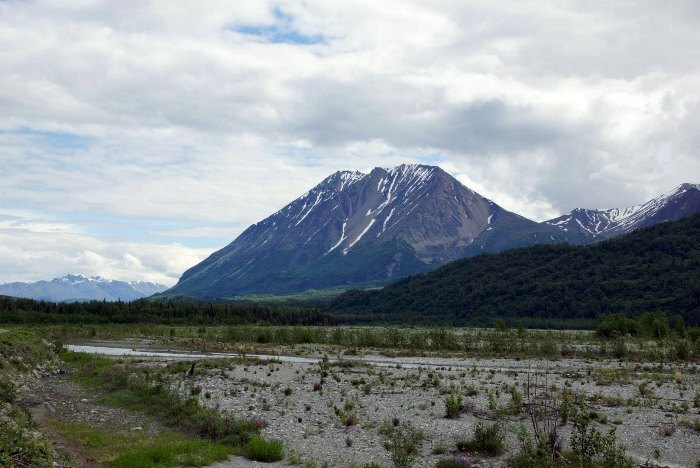 Wrangell is one of the tallest peaks in this mountain range. It’s the Pacific Rim’s northernmost active volcano, and occasionally it releases some steam. At Glennallen, you should fuel up at the one big, busy gas station at the Richardson/Glenn crossroads. If you’re heading north or south from here, service stations are few and far between. You can choose to head north to Gakona (where you can turn east towards Tok), Delta Junction, and Fairbanks, or south to Chitina and Valdez. Keep your fingers crossed for good weather. 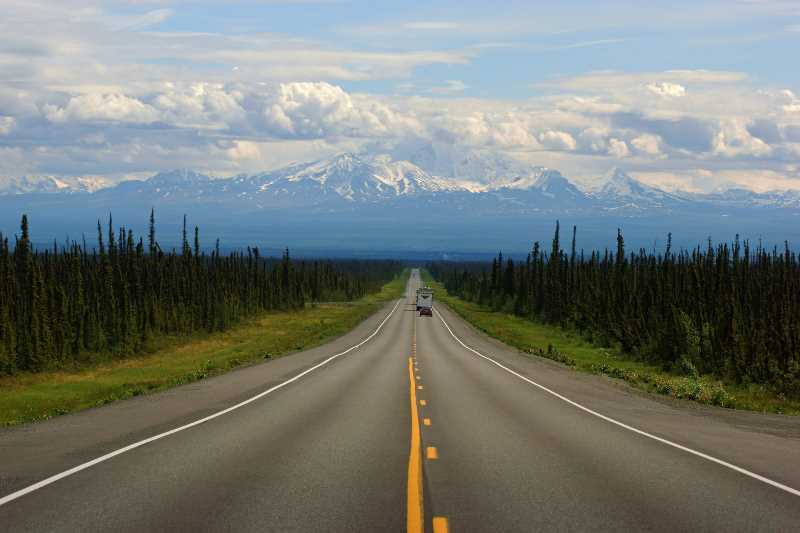 If conditions are right, you’ll enjoy some of the most spectacular scenery in Alaska along the Glenn Highway.